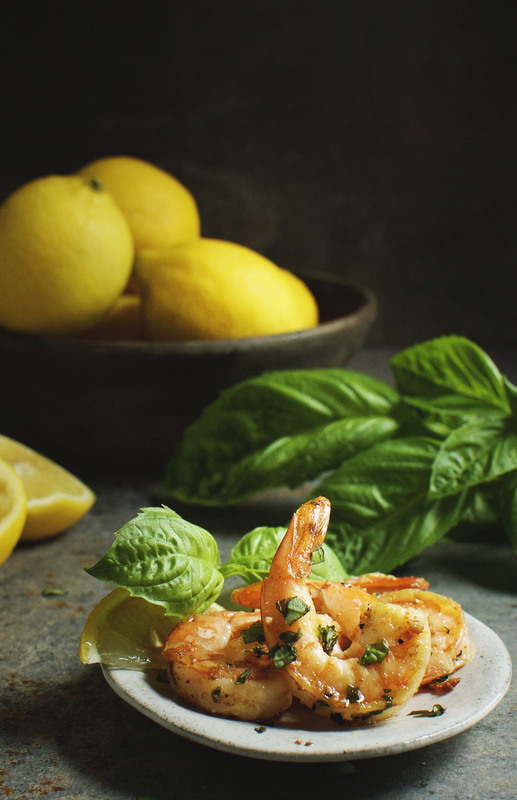 This recipe for Easy Garlic Basil Shrimp makes a delicious main course. This recipe can work for a low-carb, ketogenic, diabetic, LC/HF, gluten-free, grain-free, or Banting diet. I have a lot of shrimp recipes on my site. I think of shrimp as convenience food. If you follow my blog on a regular basis, you know I always keep a bag of uncooked shrimp in the freezer for times when I’m running low on food, and don’t have time to make a trip to the store. I call it my “emergency” bag of shrimp. Frozen shrimp makes a great “emergency” food because it only takes a few minutes to defrost under cold water, but then cooks up super-fast! This recipe comes from my “emergency” bag of shrimp. When I get short on food, I take a look at what I have and get creative with it. This time, I still had some gorgeous basil on my counter and a few bulbs of garlic in my cabinet, so it didn’t take long for inspiration to set in. While my main inspiration came from basil and garlic, I added in butter for richness, lemon to balance out the butter and a sprinkle of dried red pepper flake to take it up to a new level. These flavors come together and taste like a gourmet meal, but don’t worry, the entire recipe is super easy and comes together really fast. 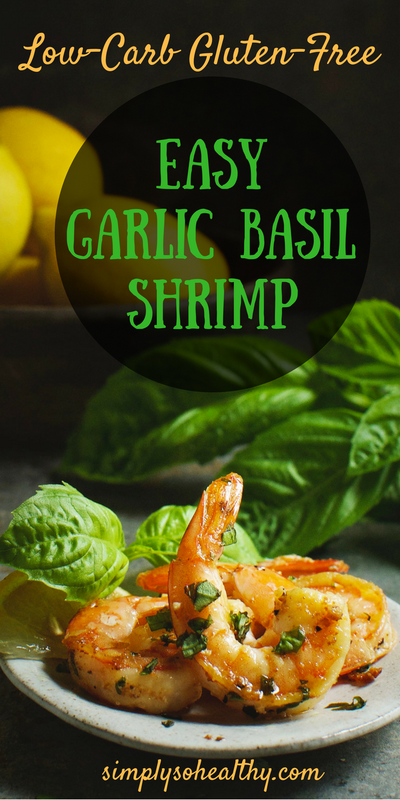 This recipe for Easy Garlic Basil Shrimp is sure to please everyone, including the cook! It makes a great dinner, but would also be appropriate for lunch or brunch. If you have some left over, try putting it in an omelet, making a lettuce wrap, or serving it on top of a salad. Enjoy! Dry shrimp using paper towels. Heat a large skillet over medium-high heat. Add 1 tablespoon butter (reserving the other tablespoon for later). 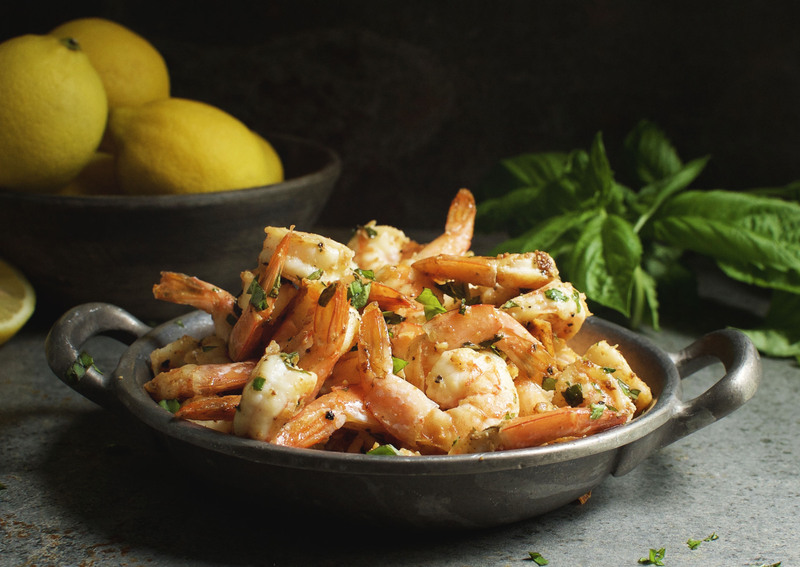 When butter melts and stops foaming, add shrimp to the pan. Do not crowd the pan. Shrimp should not touch each other. If necessary, cook shrimp in batches. Sprinkle shrimp lightly with salt and pepper. 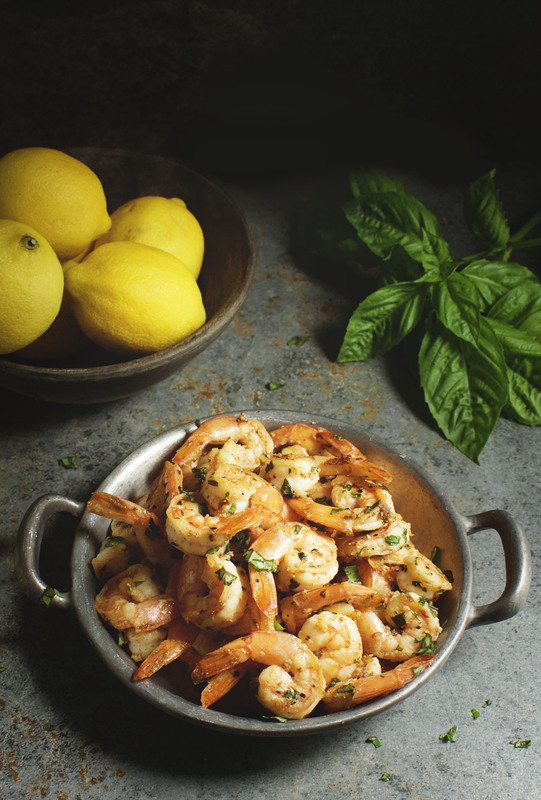 Allow shrimp to brown on the first side without moving (about 2-3 minutes), then turn. 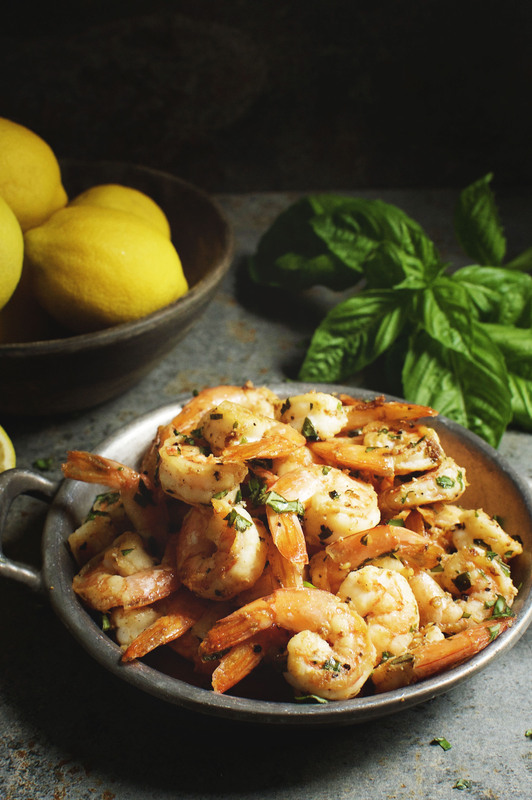 Cook until shrimp are cooked through (about 2-3 minutes longer), then remove to a plate and set aside. Turn heat to low. Add second tablespoon of butter to skillet. When butter stops foaming, add garlic. Cook for about 1 minute. Add lemon juice and cook, scraping up browned bits, until liquid has almost completely evaporated. Stir in shrimp and any liquids that have accumulated on the plate. Remove skillet from heat, then stir in basil, chili pepper flakes, and lemon zest. Sprinkle in salt and pepper to taste. That was excellent. 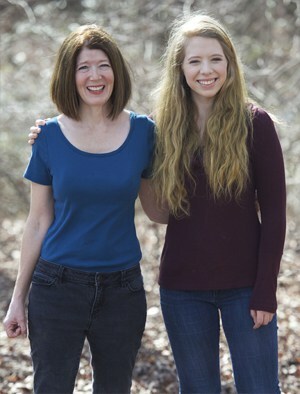 A family hit. Thank you for the extra tip about waiting for the butter to finish foaming before adding garlic. 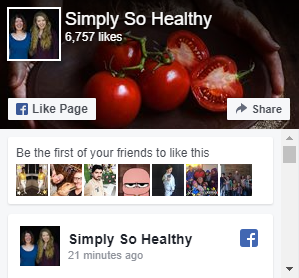 We will definitely make this recipe again.